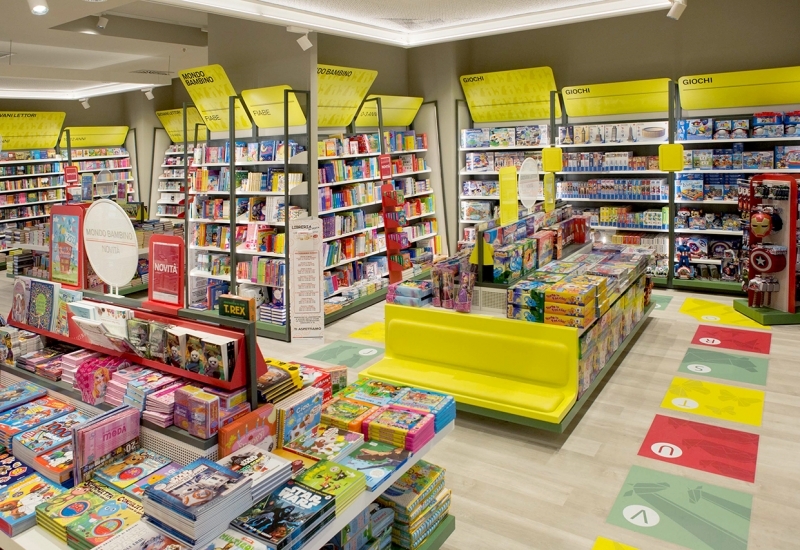 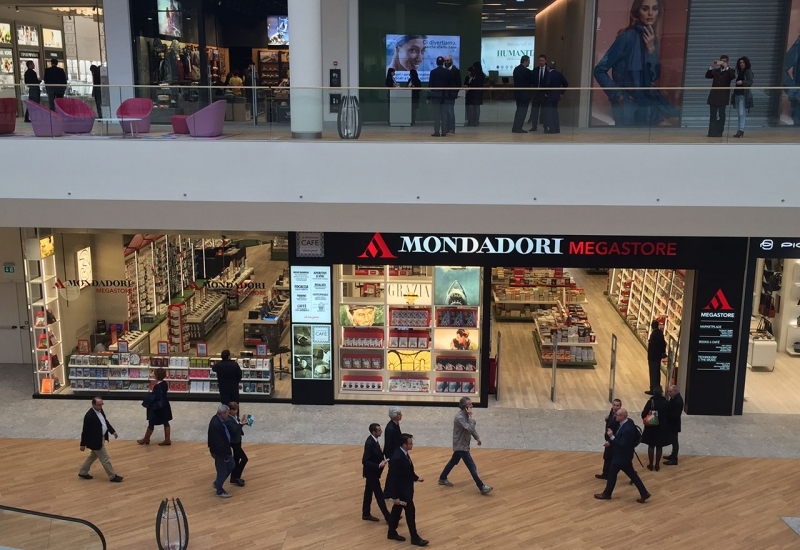 The new Mondadori Megastore located in IL CENTRO, Italy’s largest shopping mall, develops the articulate language of the new concept store, designed by Migliore + Servetto Architects for Mondadori. 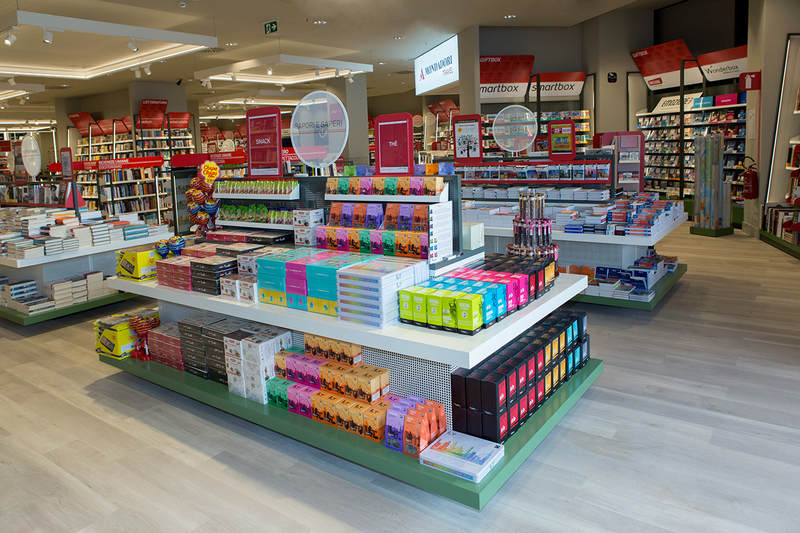 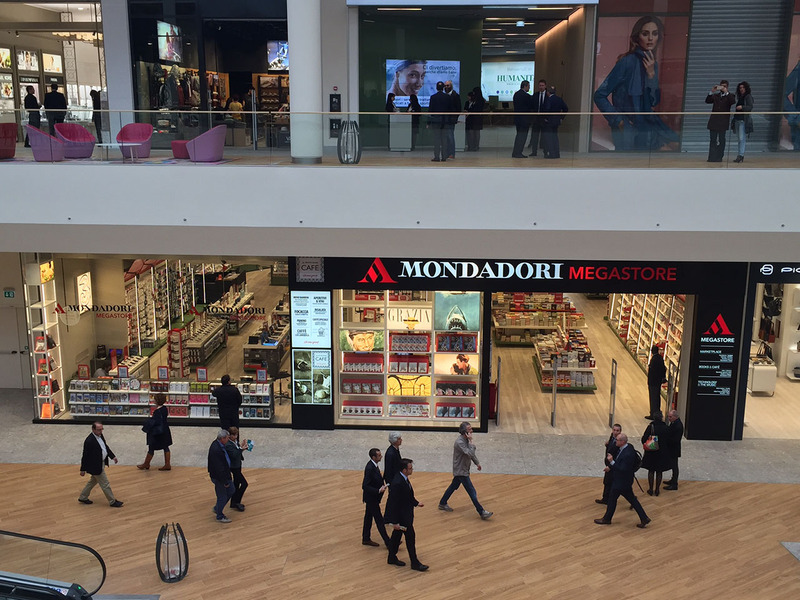 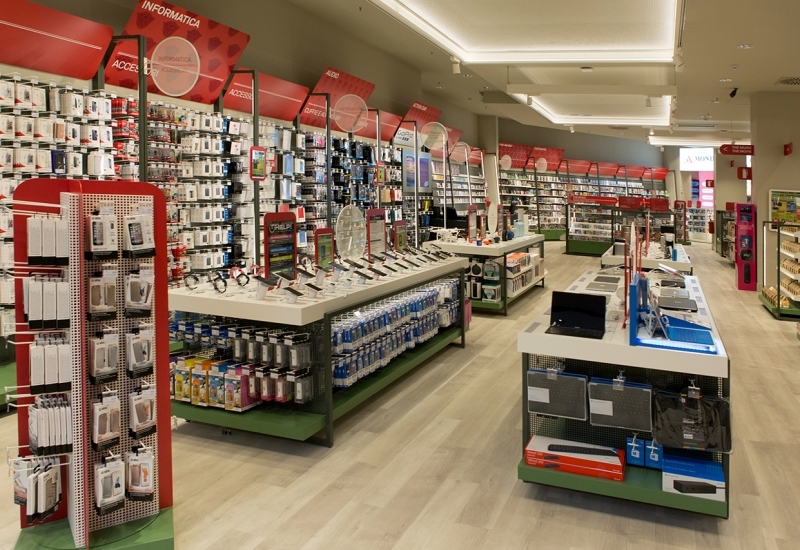 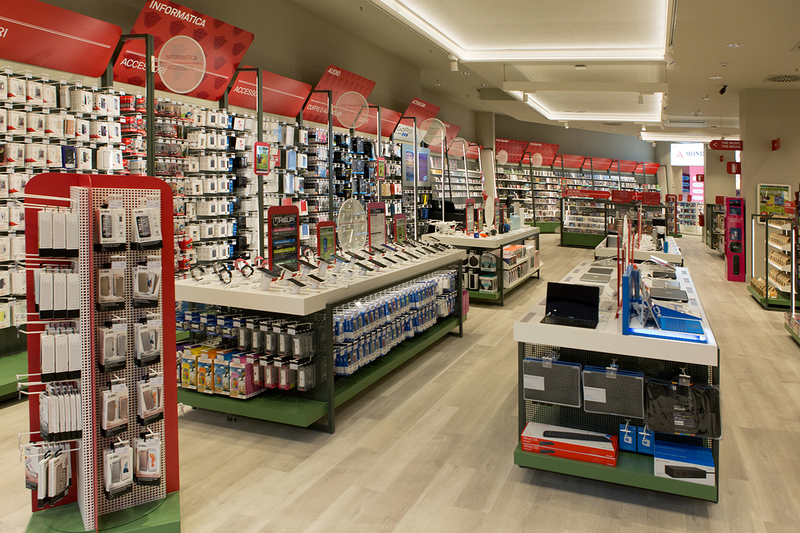 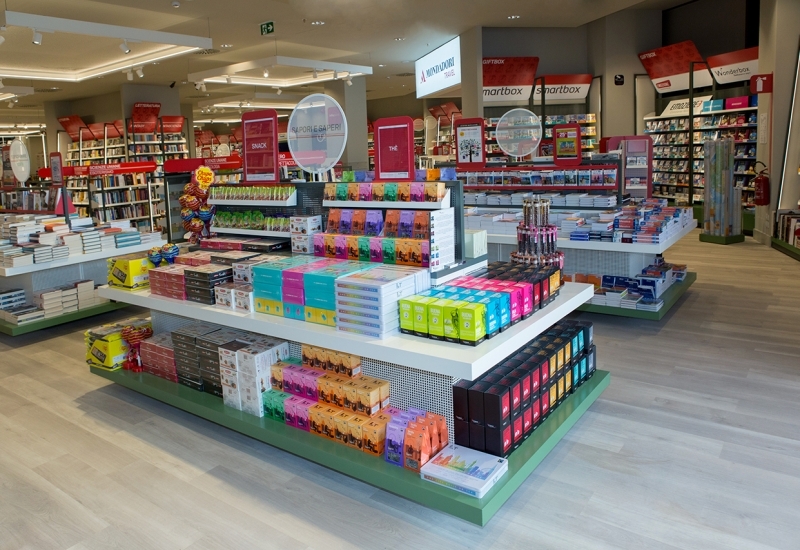 Following the milanese stores in via San Pietro all’Orto and Duomo, the new Arese megastore is a large open space, characterized by a warm greje tonality, and invites visitors to explore and find out more about the different areas, where you are guided by a graphic system characterized by the Mondadori red. 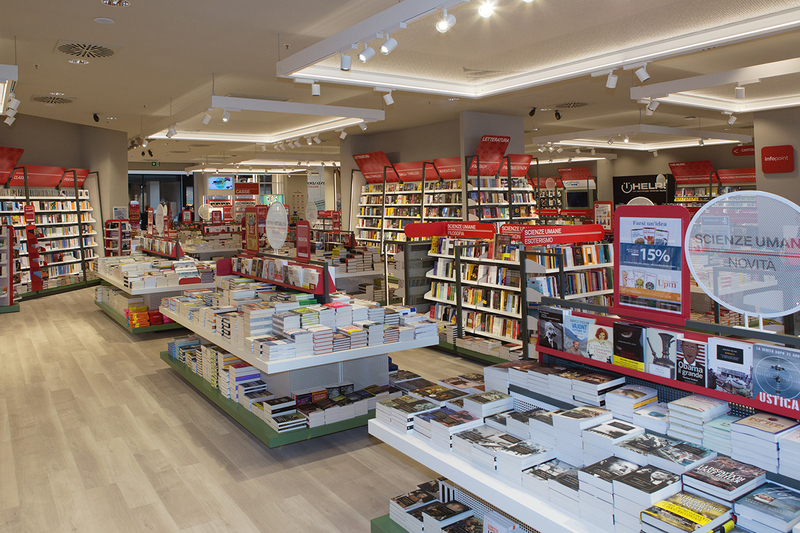 To define the spaces there are white, red and green metal inclined bookshelves, combined to the transparency of the metal meshes and to the complex system of graphic signs about Mondadori history, together with an ulterior essential element: the light, accompanying and highlighting the presentation of the products. 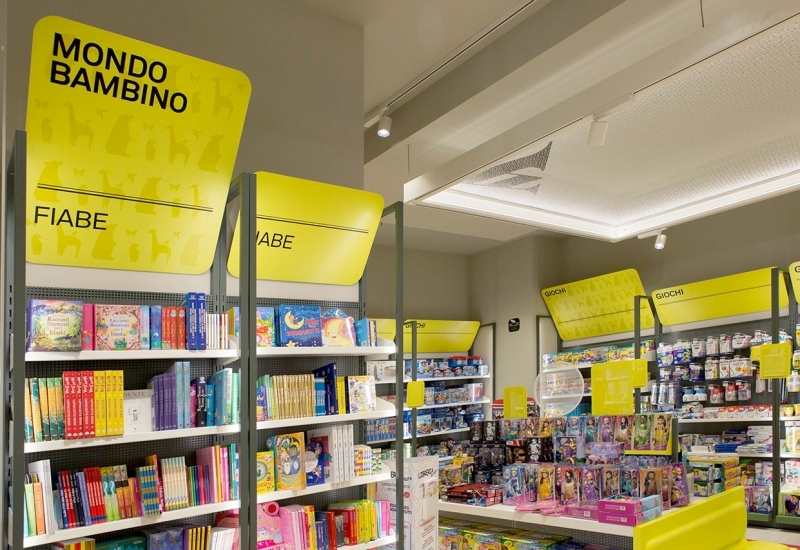 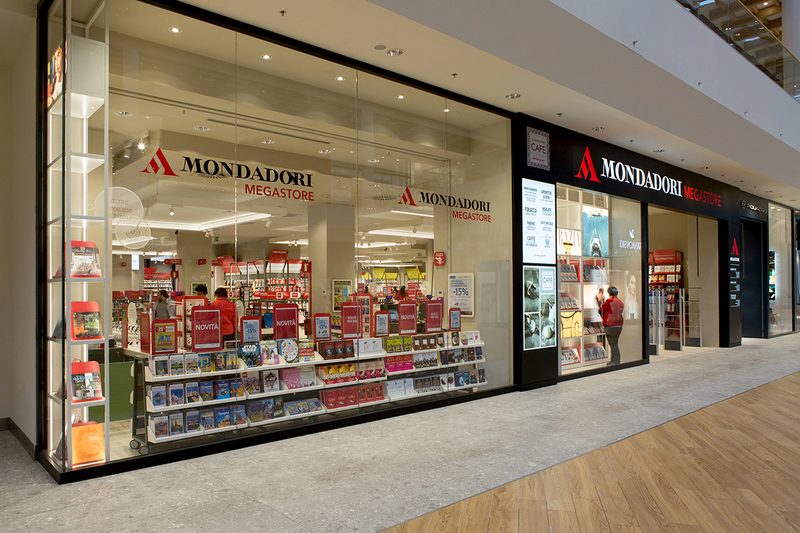 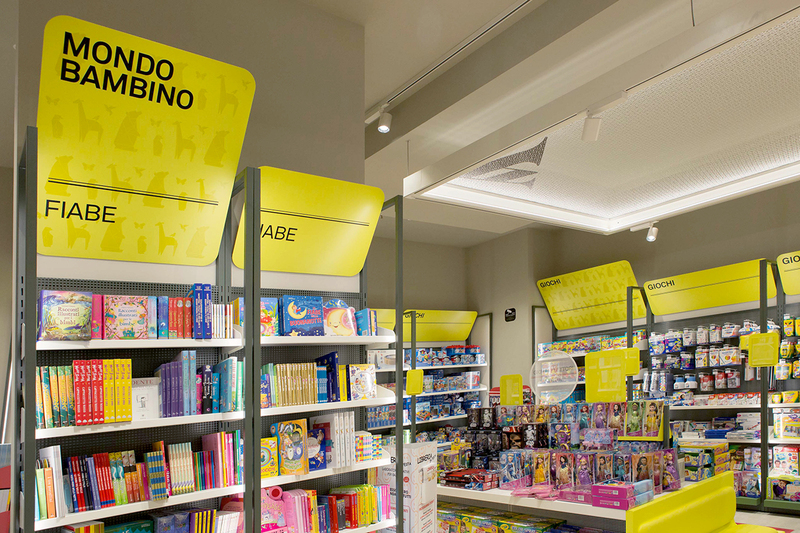 The displays characterized by lightboxes animate the displayed products, while on the ceiling inside white metal rings the light extends along a technical, sailing fabric bearing Mondadori logo and identifying the underlying areas. 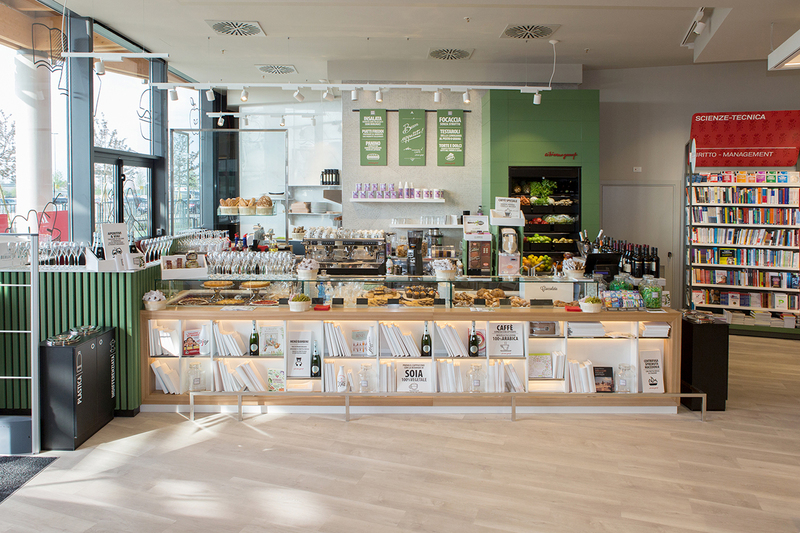 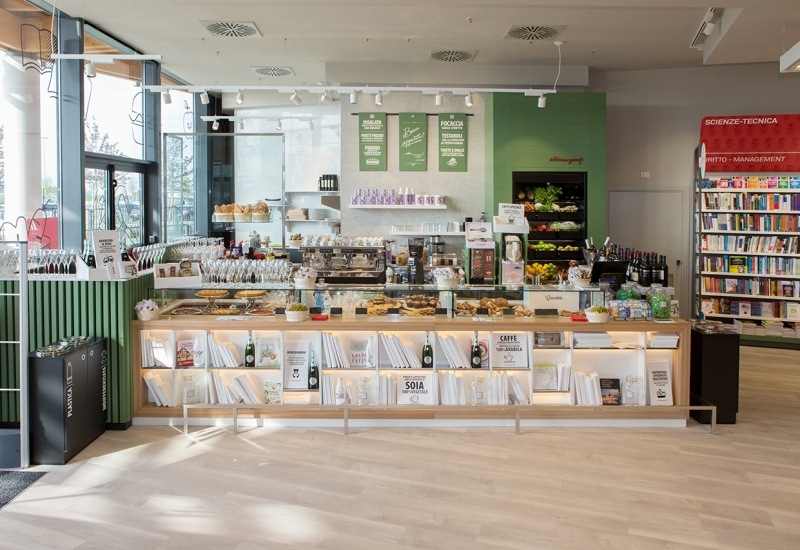 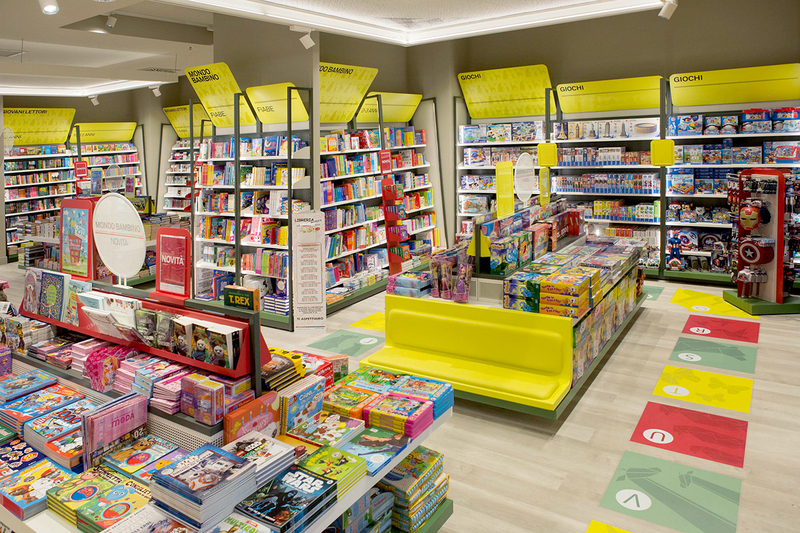 The space offers a view of the mall, marked by floor-to-ceiling bookshelves, while on the other side we find graphics which are the background of the café area and travel area.